Look for classes to be offered again at the Wyoming Mi Home School Building in the new year. 2017 will begin with a more in depth look at Wild Plants Study. If you or your student has any interest in Natures Study, you will want to attend this 3 part class. More details in coming weeks. Nature’s Access events can be conducted near where you live. Thank you to all who have attended our classes. We hope to see you in the future. This course is designed to provide survival knowledge to everyone. Let us know what your experience level is and we will gear the course to your needs. Learn how to use the natural resources God has provided. Wild plants are nutritional, medicinal and very useful for utility. From risk assessment, weather related injuries, fire building, rope making, shelters, navigation, food, water, equipment suggestions and survival philosophy this course is a must have for anyone concerned that the future is uncertain. Use the contact page and we will get back with you as soon as possible. This course is perfect for Preppers and the “just curious” alike. NATURE’S ACCESS presents HOT WEATHER SURVIVAL CLASS! Students will learn some Natural Science, Botany, Physiology and more. Preparation, Risk Assessment, Survival Needs, and Hot Weather Injuries will be taught. Students will be shown at least 5 wild edibles on school grounds, how to build a fire, basic compass reading and how to use available materials to make it to safety. Not only will these lessons help students survive a hot weather incident, but they also relate very well to everyday life. Tea Remedies straight from Nature! If you enjoy a good cup of tea; if you think we are over medicated; if you are interested in traditional health boosters, then you need to attend Nature’s Access’s “Wild Tea Time”. In this class we will explore wild edible plants that have amazing healing properties, packed with powerful antioxidants and nutrition, and….taste good to boot! Enjoyed as a tea, many plants right in your backyard can help a headache, soothe a sore throat or ease a cough. Many can stop bleeding, act as an antiseptic and ease the pain of a bee sting. Join us to discover the benefits of Wild Edible Plants with an introduction to: Identifying and Harvesting your own backyard. Are you tired of the same old flavors???? Do you enjoy experimenting in the kitchen?? Do you enjoy getting outside? 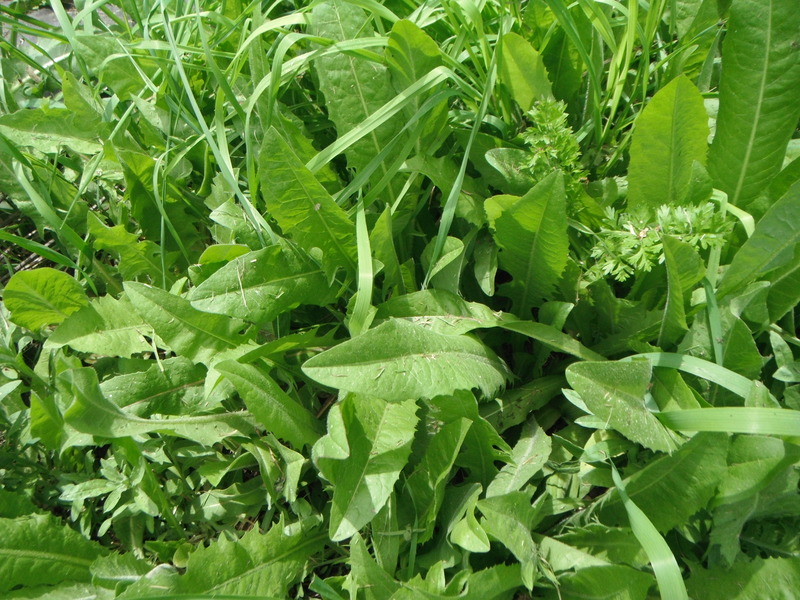 Join Nature’s Access’s “Mixing Wild Weeds”. Combine wild edible plants with spices and herbs that you already have in your cabinet for unique and healthful additions to your cooking repertoire. Make seafood blends, Mediterranean influenced blends and awesome meat blends. Do you want a little more for your eggs? Let’s do it! Wild edible plants have unique flavor profiles that you just can’t find at the store. Get this…not only can they add flavor and amazing aroma’s, they are also packed with nutrients. Join us and discover the flavors of Nature with an introduction to: identifying and Harvesting your own backyard. Join me in an Urban setting and discover the Groceries that are waiting to be harvested. We will probably find more, but we will find 5, not only edible, but nutritious and delicious wild edible plants in an Urban setting! There are many reasons to harvest wild edible plants. Save money, feed the poor, superior nutrition, chemical free and the food is FREE! Nature’s Access will introduce you to the in’s and out’s of Foraging to give you a lifetime of not only better food, but also a lot of fun. As a bonus, we will also talk about several domestic plants that are edible as well and how to grow a sustainable herb garden. Spring time only. Join Nature’s Access on a mile long walk in a woods and an overgrown field that has amazing flora diversity. From Blood root to Wild Ginger. 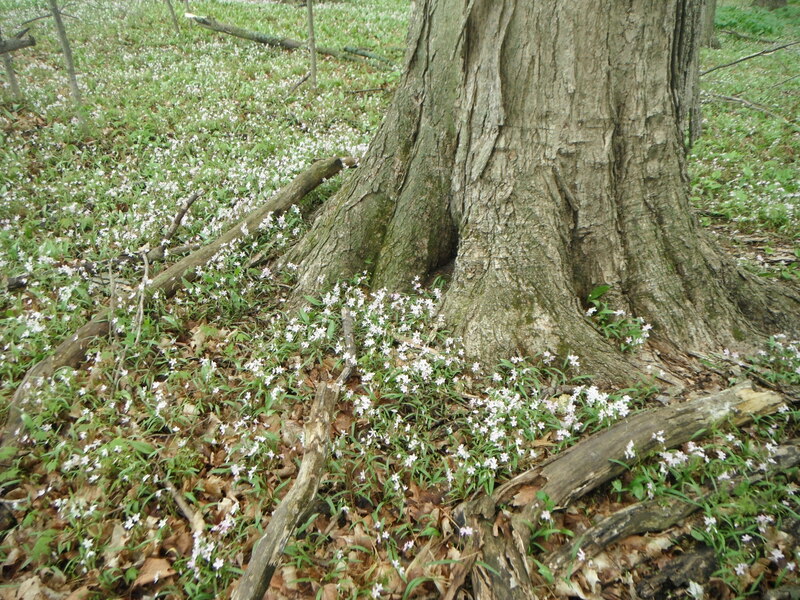 From Spring Beauties to White Trout Lilies you will see plenty of beautiful flowers and plants. Scenes like this await you on this Nature Walk. Learn fun historical narratives, discover wild edibles and wild killers, enjoy a beautiful river and a gorgeous old growth hardwood lot. Hiking type boots or shoes advised, as well as long shirt, long pants, hat and sunglasses. Water will be provided. Definitely bring your camera! Mildly difficult terrain. Not an improved trail and there are a few small hills and some mud. Worth every step! Walk time depends on participants. We are there to learn about and enjoy nature and not sprint through it. There is a lot of food right there, but also some herbal remedy ingredients as well. Contact for Date and Time. Meet at Bigsby Coffee (2745 10 Mile Rd NE Rockford). We will drive a short distance to the woods. Use the contact us page to send your interest. Get signed up right away! Only $20.00/person. Spring is on the way! Soon the snow will be gone and green will be everywhere. A lot of those green plants have medicinal properties that our ancestors knew very well. Without those herbs, their lives would have been much harder than it was. Modern Medicine is great, but sometimes we get carried away and our bodies are suffering for it. Learn how to treat minor ailments using wild, safe, recognizable plants. Join me on a Herbal Nature Walk and let’s rediscover what our ancestors knew. We’ll be walking all Spring, Summer and into the Fall as weather permits. Don’t miss out. As the seasons change so does the plant life. Spring is a time with beautiful flowers and an abundance of fresh edibles. Summer shows many flowers but also mature edible plants. Fall shows you the wild edible hardy plants and beautiful fall colors. All are extraordinary. Our walks are considered to be very low difficulty. If you have special needs. Please tell us what they are and we will find a way to accommodate you. Nature is for everyone! Please fill out the form on the contact page and write in Flora Walk. Contact us and we will accommodate you. Foraging is a way to help supplement your diet that is free, nutritious and fun. Many people struggle with their finances right now and many just want a source of nutritious food they trust. Some people want to be ready if, for some reason, normal food chains dry up. Learn how to find an abundance of food that is good for you. We will cover identification, harvest and usage. We will also go over nutritional values and touch on medicinal uses. This course has some flexibility as far as locations as well. We can even conduct it at your home to show you at least 5 wild edibles that you can find near you. Don’t miss out. Use the contact page and write Foraging on it. We will get you a price and set up a date for you. Sometimes people just aren’t comfortable going for a walk out in the woods on their own. They just don’t have the experience and confidence to hit the woods with out marked trails and beaten paths. We will take you for a nice long walk off the trails where you see what the woods in the area are really like. Please go to the contact page and use the form to request a wild life walk trip. We will be looking for and attempting to identify plants and animals on the walk. No guarantee animals will cooperate, but the plants have no escape. Either way, we’ll have fun. We will get you a price and work out further details via email. We will make it affordable. Our intent is to help you enjoy Gods Nature, not to become millionaires. PS-Million Dollar Donations are accepted. LOL. If you enjoy summer activities, you should take this course. A wide variety of topics are covered that will provide the knowledge needed to safely enjoy nature, Students will learn preparation, risk assessment, heat related injuries and prevention, fire starting, shelter building, plants to avoid, plants to use, compass reading and much more. An interactive course that will be conducted partly indoors and partly outdoors. If you have a survival pack, feel free to bring it. The instructor’s pack will be taken apart and the contents examined. Being prepared not only helps you make it through a tough spot, but it also helps you enjoy every interaction with Michigan’s Parks and wild places. A bottle of water is recommended for classes. Class I Preparation, risk assessment, compass and map reconnaissance. Classroom. Class II Fire building and shelters. Outdoors. Class II Nature to avoid, nature to use. Outdoors.